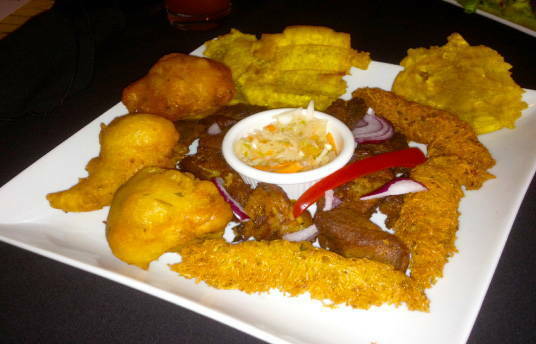 Haitian Accra or akra is a savory malanga fritter that is usually eaten as a side dish or as part of other fritters known as fritay. Peel and grate the malanga. Mash it with a fork. Combine the remaining ingredients and mix them in well. Pour a spoonful of batter at a time. Flip over to brown evenly. Remove and set aside. Blot with a paper towel to remove excess oil.